Where do you live? would you recommend it to young couple starting up a family? Is it affordable? What is your recommendation? Where are the nice and safe suburbs to live in Sydney? Nice is difficult description. I love where we live - I would choose Enmore/Newtown/Stanmore. Near to everything,can walk to cinema and train station, tons of restuarants but very pricey these days....5 kms from city. 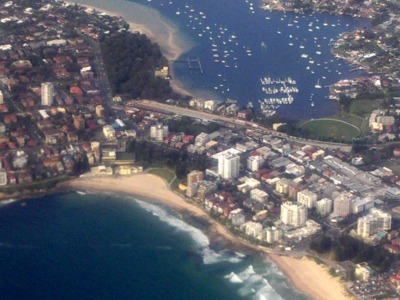 I love being near the ocean, so for me the northern beaches - Manly, Collaroy, Dee Why are the ideal spot. Lots of beautiful beaches and parks to choose from on the weekend. Also plenty of cafes / restaurants and shopping centres to choose from. Yes, five quickly became nine :) Other mentions include Newtown, Stanmore, Petersham, Leichhardt, Haberfield, Five Dock and Abbotsford. I live in Newington, the place they used to house the athletes during the Olympics which was converted into a suburb after. There are many, many young families living here and it is a very nice suburban neighbourhood with lots of young kids and very culturally diverse. I live In the Sutherland Shire, which has the only beaches with a railway station! Although I don't think it's affordable anymore, it would be a lovely place for young families. with lots of schools, 2 hospitals, kids parks, the Royal National Park, & a recently updated Westfield's! What are the major annual events / festivals in Sydney? Where are the best vantage points for Sydney New Year's Eve Fireworks? Where to stay for holidays in Brisbane?